Looking for fresh and beautiful Southbank flowers? Flowers for Everyone is a well-known local Southbank florist that supplies the finest quality flowers to churches, hospitals, private home and all other addresses in and around Southbank. Has your friend landed up in the hospital with a broken leg? Did your girlfriend get upset due to the brawl with her best friend? 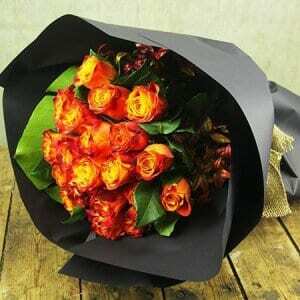 Liven up everyone’s mood with fresh and fragrant flowers from Flowers for Everyone. You can choose from a large variety of modern and traditional floral arrangements. We handpick flowers every morning from the local flower market to assure your loved ones receive the best flowers. Are you at a loss of words? Our team can even help you craft messages that can convey your feelings to your loved ones. We also offer a wide variety of add-ons that make your floral gift even more special. So browse through our website and send the most beautiful gifts to your friends and family, without leaving the comfort of your home. We also offer same day flower delivery, so you can send last minute gifts without hassles. Located just 1km from the city centre and on the southern bank of Yarra River, Southbank is a fabulous suburb where people enjoy a peaceful and fun filled community life. The suburb is home to a number of professionals and students and this is because commuting is very easy. If you aren’t the laid-back type, then Southbank is the place to be. With the best restaurants, cafes, bars and shopping areas, you can have the best time of life with friends and family in Southbank. 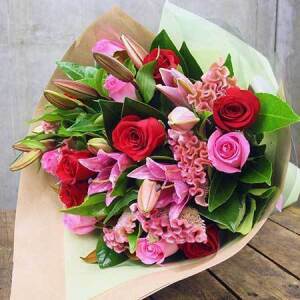 To make things even more special in Southbank, Flowers for Everyone delivers premium quality flowers across Southbank and other suburbs in Melbourne. Give us a call or browse our website to place your orders.